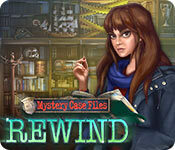 Mystery Case Files: Rewind is rated 3.2 out of 5 by 52. Rated 5 out of 5 by sramming from ACTUALLY A HIDDEN OBJECT GAME!!! I am so thankful they finally went back to the original HIDDEN OBJECT game. The newer mystery case files seemed 2 be more about the puzzle and story line than actually being a hidden object game. I loved the 1st couple of Mystery Case File games, when you looked for objects without having to chase all the other bs. Rated 5 out of 5 by nancyscat from At last.... Finally back to something recognizable as Mystery Case Files. Still waiting for a "Madame Fate" (original one) format game to emerge, but this one is fun. Very entertaining! Rated 5 out of 5 by joannab from Well, I loved it! For long time fans of Ravenhearst, this was a nice love letter/tribute with the old, weird puzzles and the mini games and the piled up hidden objects. I have missed them. My husband looked over my shoulder at one point and said, "oh, that's just like your favorites". He knows me. I haven't liked the last few incarnations as much, if at all. This one, I loved. Wish there were more like it. I'll never get tired of the Ravenhearst-type themes and creepy doll puzzles! This series has something that the other cartoony series just doesn't. The key/puzzles were easier than they used to be, but that's okay. I wanted it to be longer and more difficult, but having the timer also made it challenging and old-school MCF again. Thanks, Big Fish Games; this one was just for the fans. Rated 5 out of 5 by wolfensteinsmom from Great for HO game lovers. I played the Beta version of this game, and loved it right away. This is the kind of game I can get my mind set around. One of the reasons I own almost 300 BFG is the fact that I get to pick and choose the ones that I love, and there are new ones to love every month. It is cheesy, and cutesy, and a very challenging HO puzzle. Not for the easily bored. Rated 5 out of 5 by grandmacathy from Absolutely the best!! I started out playing Hidden Object games. I think they are a great way to keep your mind thinking in different directions, and keeping it healthy while having fun. Some of the first games I played on Big Fish are the Mystery Case Files games. They are the ones that made me love Big Fish, and years later, I still go back to the early ones. So to find this game was the highlight of my week!! 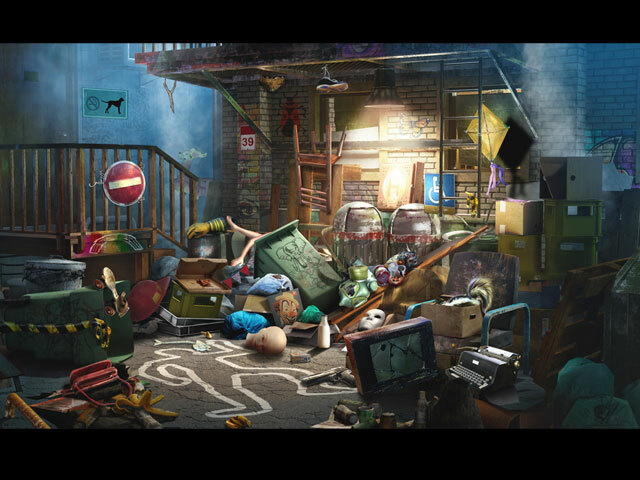 It is a fun hidden object game. There's a story and goals to achieve, but no back and forth between scenes. The story is funny, not dark at all. The graphics are cartoony-cute and well-drawn, appropriate for the scene. 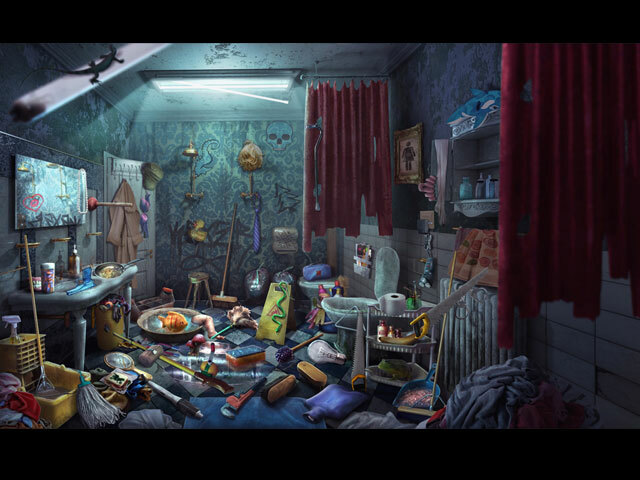 The hidden objects aren't in obscure locations that make them almost impossible to find without a magnifying glass like other games. Each of the mini games required moving around the scene to figure out the mechanics. Even putting the keys in the computer was fun! The music made me smile. I usually play games without the sound effects because most of them are distracting from the game. This music is soothing and spooky at the same time. Thank you, MCF, for a throw back to games I really enjoy! I strongly urge everyone to play the early Mystery Case File games, especially if you like this one. They are great! Rated 5 out of 5 by isisunveiled from Loved this Game Rewind is reminiscent of the first game of the MCF series, Huntsville. I see some reviews here that gave Rewind low ratings. One of the biggest complaints was that the puzzles are "easy." Maybe that's true for some of the individual puzzles, but when you play the game against the clock, it becomes harder to complete all the tasks within the allotted time. If the tasks were really difficult or complex, nobody would ever succeed. This is the same paradigm as the original Madam Fate, where you were racing to finish before time ran out. Personally, I love this type of game. Rated 5 out of 5 by jeannierose45 from Choose some friends to send your free gift to! So much like the old school MCF! As much as I enjoy the more complex and challenging games in the Mystery Case Files series it is a lot of fun to just relax and play!! Rated 5 out of 5 by senioruser from Retro-Magic I loved this game - so reminiscent of earlier Mystery Case Files. One of my favorite features are the "super puzzles" I first experienced in Madame Fate. Rated 5 out of 5 by redpanda47 from Finally the MCF we've been waiting for! So so happy to find this game! After being turned off of every new MCF for years now (with the exception of the return to Fates Carnival), finally a game that captures the original feel and original fun that made this series so loved. 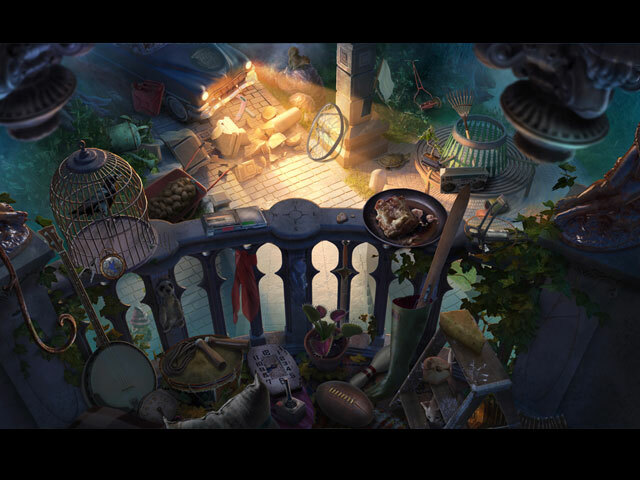 Hidden object games are a dime a dozen these days, and the most recent installments of this series have really started to lose themselves, and feel just like every other game out there. Without an opening title screen you wouldn't even know they were MCF. While I know the series probably won't completely return to its roots, I am really really enjoying this game. The HOP are challenging, but not insane. The characters are quirky and campy. Love having the case list again for navigation, as well as the level timer. I don't need to have five different types of morphing objects and a room full of achievements to have a good time. Honestly this is the most fun I've had with a HOP game in ages. But then again, I have been a huge fan since the very first game, so I have a real attachment to the original, ground breaking, series and style. This is most definitely not going to be for everyone. Rated 5 out of 5 by Grannyto2 from The good old days I am glad they decided to release this game. Sure it's not the sophisticated, newer, DARK versions but it was great to go back to the roots and play. I read a few complaints that there were too many HOS in this game--it's a hidden object game!! This is what these games were in the beginning and they were fun to play! This is my first review after many years of playing these games and the reason is, I had to express how I enjoyed a blast from the past. Thanks!